June 3, 2012 . NYC- 59th Street and 5th Avenue. 10 AM. 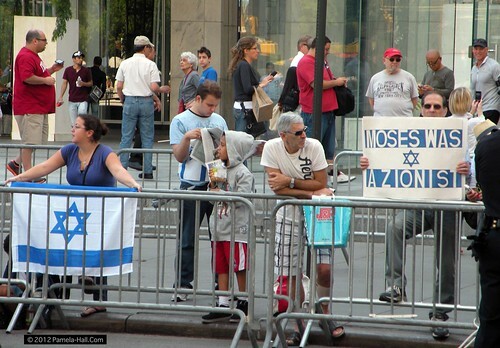 Way before the Annual Celebrate Israel Parade began. 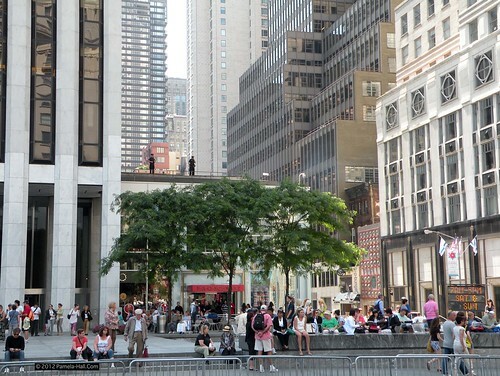 Saw police on top of FAO Scwhartz. 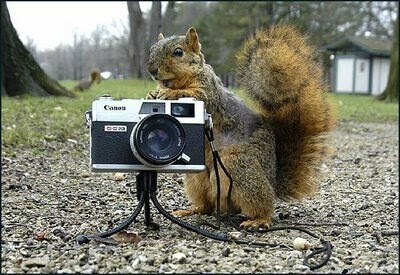 A reminder that bad things could happen. 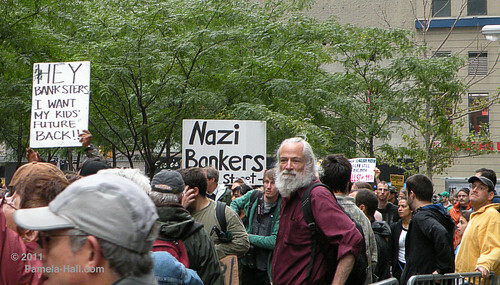 Not so nice was this familiar face I spotted in the crowd: an #OWS anti-Israel, anti-Jewish BIGOT who got lots of press last October at Zuccotti Park. 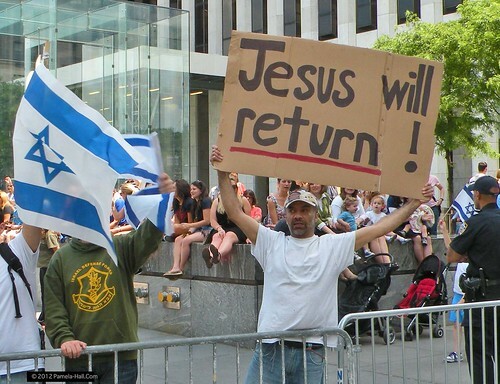 None of the Christian groups I am aware of, that support Israel, would have felt this to be an appropriate sign. 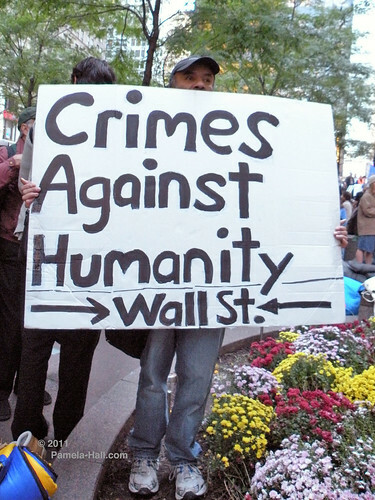 But, this is the ANTI-SEMITE from #OWS so I'm betting he was hoping for a confrontation. Seemed like he was ignored by the press as well as the public. 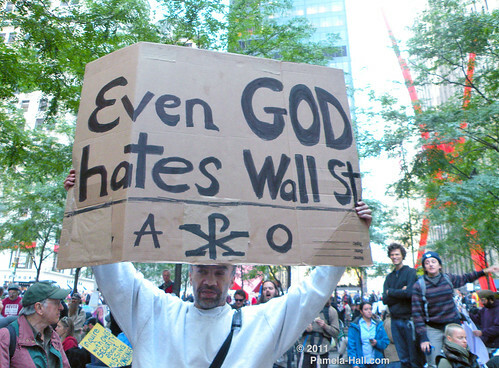 But, on October 1, 20122, as they marched toward the Brooklyn Bridge, I had also managed to catch another of his signs (below) with his "Main Theme " of anti-Jewish Hatred. So we had this piece of #OWS SCUM passing himself off as a Christian and the Neturei Karta passing themselves off as 'authentic' Jews. 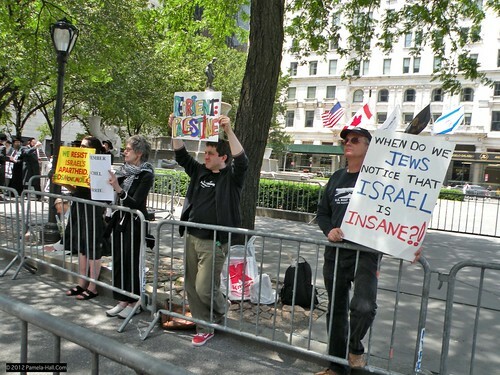 Opposing the State of Israel from a very empty pen, presumably because the other Leftards were IN the parade. 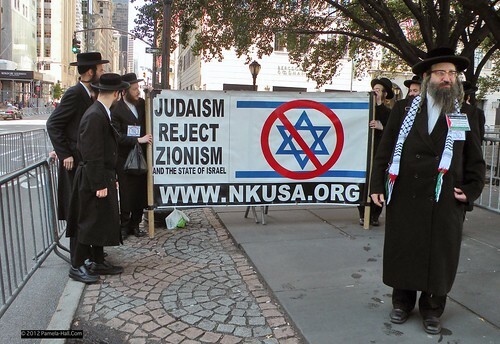 The Neturei Karta were getting a lot of attention from only ONE British news crew otherwise they were on their own. Got a long-winded earful from one Rabbi Yisroel Dovid Weiss who wore the "Fakestinian" flag on his ID badge and a kuffeya around his neck. A Day of Celebration for most was also a Day of Shame for the organizers of the parade since this year, in spite of much opposition, they inexplicably gave permission for anti-Zionists to march in the parade. 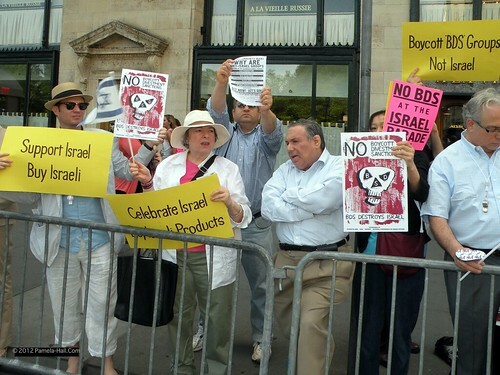 The BDS (Boycott, Divest, Sanction) anti-Israel protestors marched IN the parade... in OPPOSITION to Israel.... in a parade that was CELEBRATING Israel. 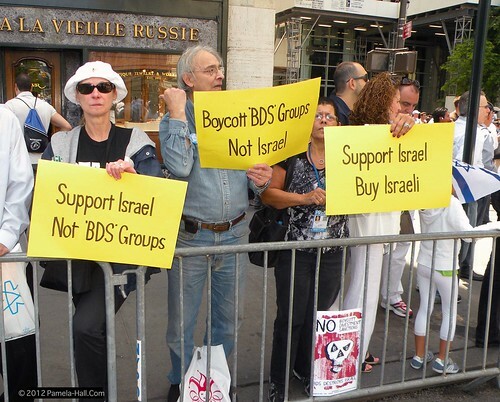 Anti-Israel Groups like the "Rabbis For Human Rights" . 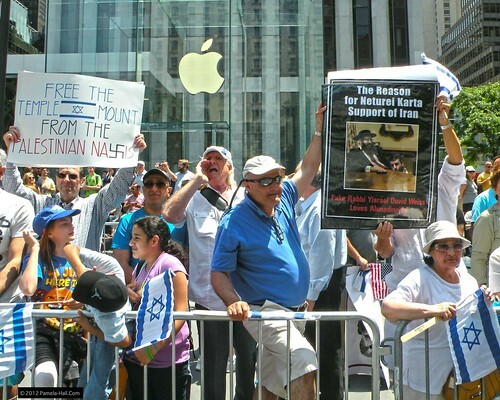 Finally found some brave supporters of Israel at 59th street. They had to deal with the police moving them around. 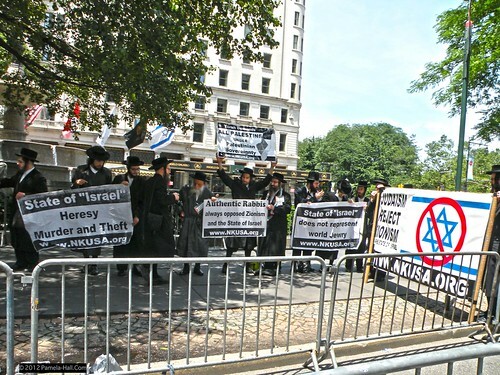 Seemed the parade was more afraid of these signs than they were of the offensive anti-Israel contingent that was IN the parade. However, guess some things were too much for even the parade. 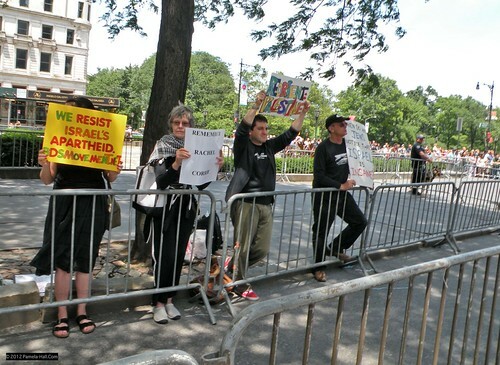 Found the very foolish "Queers for Palestine" way UP Fifth Avenue and there were parade celebrants who also did NOT appreciate them. 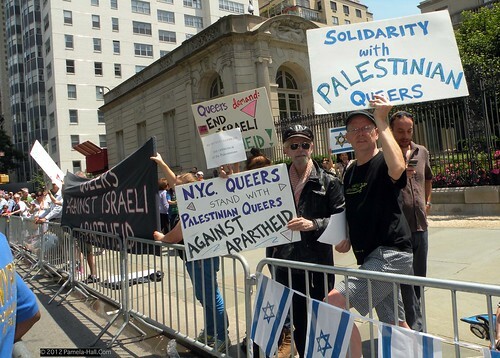 VIDEO of "Queers For Palestine"
Our side was facing them on the East side of Fifth Ave with a few signs in response. But mainly, everyone was there to have great fun .... in spite of the protestors. 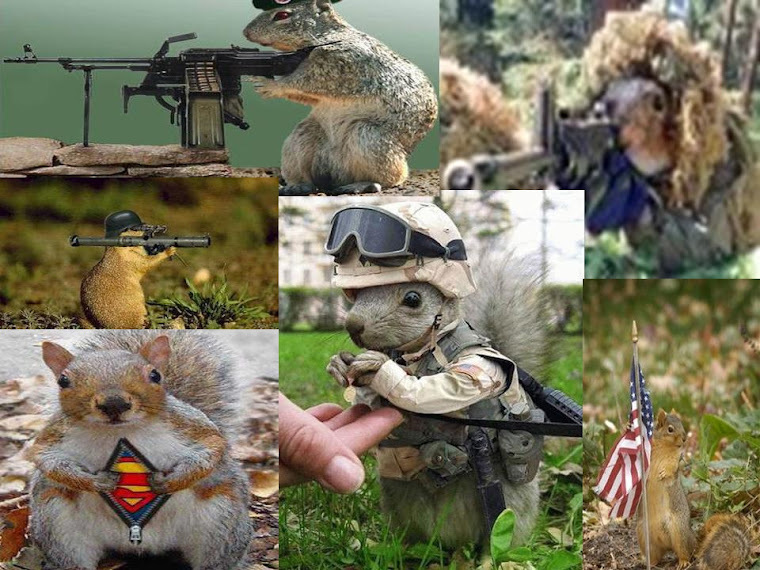 Next post is the Parade!